Bionics Cochlear Implants Lawsuits. 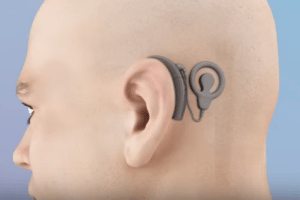 Advanced Bionics cochlear implants are supposed to assist patients who are deaf or have extreme difficulty hearing, but mounting evidence over the past few years suggests that these products are actually harmful. In fact, Advanced Bionics has issued more than one recall for these hearing devices: the HiRes90k, Clarion 1.2 and Clarion II/CII were all recalled on multiple occasions. If you have been implanted with any of these products, you may have grounds for a lawsuit. In May 2013, a federal jury awarded $7.2 million to the parents of a child implanted with the HiRes90k. Advanced Bionics is the manufacturer of the Clarion 1.2, Clarion II and the HiRes90k cochlear implants. Unlike hearing aids, which are worn externally, cochlear implants are surgically implanted inside the skull of a child who is deaf or severely hard of hearing. The cochlear implant works by using electrical impulses to stimulate the auditory nerves inside the cochlea. Cochlear implants include external components, such as a microphone, speech processor and transmitter. The U.S. Food and Drug Administration (FDA) initially approved the HiRes90k in July 2003. It is a Class III medical device, which is the most high-risk category that exists. What Is Wrong with These Implants? Advanced Bionics has had a number of issues with these cochlear implants. In 2004, the company recalled all explanted Clarion 1.2, Clarion II/CII and HiRes90k cochlear implants. Later that year these devices were again marketed and sold. Then another recall was issued in 2006. These devices stopped working allegedly due to a moisture-related problem associated with an internal component of the implant. In 2007, the FDA filed a civil action against Advanced Bionics over its cochlear implants. The agency alleged that the company manufactured and sold “adulterated” implants, meaning the products had been altered without proper FDA approval or notification. Advanced Bionics settled the lawsuit for $1.1 million on behalf of the company and $75,000 on behalf of CEO Jeff Greiner. That same year the FDA warned that children implanted with cochlear implants had a higher risk of developing bacterial meningitis, a potentially deadly infection. The warning was issued after two children implanted with the devices died of bacterial meningitis. Yet another recall was issued in 2010 over Advanced Bionics cochlear implants. The company recalled the HiRes90k after two patients suffered from pain and loud noise eight to 10 days after it was activated. The device was allowed back onto the market a year later. In May 2013, a federal jury required Advanced Bionics to pay damages in a lawsuit alleging that the HiRes90k cochlear implant caused severe damage to a girl implanted with the device. Kentucky couple Brian and Michelle Sadler had sued the company in August 2011 on behalf of their daughter Breanna, whose implant failed in 2009. The lawsuit, filed in the U.S. District Court for the Western District of Kentucky, alleged that the company never properly tested the implant and never informed the FDA that it had switched to a new manufacturer, AstroSeal, for a key component of the device. Allegedly, the child’s implant was tested to have 38.5668% water/vapor compared to the 0.5% moisture limit mandated by the FDA. Allegedly, this defect caused her to suffer three electric shocks, which led to her having convulsions and vomiting. The suit filed on her behalf alleged that this traumatic experience caused severe emotional distress, preventing her from sleeping, eating, wearing her glasses or doing other basic activities without having an unnatural fear of a shock. The jury awarded the Sadler family more than $7.2 million for their case; $6.3 million of the amount was for punitive damages, and $996,000 was for her physical and mental pain and suffering. Do not hesitate to contact us if you or your child has been implanted with the HiRes90k, Clarion 1.2 and Clarion II/III. For years, there has been a growing body of evidence suggesting that these cochlear implants are not as safe and effective as marketed. We offer free legal advice to anyone interested in pursuing a case. If you have any questions, feel free to fill out our online form . You can also call our office at 1(800)-YOURLAWYER (1-800-968-7529). Need Legal Help Regarding Cochlear Implants?